"It was a huge disillusionment. It was, I saw plainly, pretentious, clumsy and scamped. I had fumbled with it. My control over the production had been ineffective..."
After hasty reshoots, the second film - The Man Who Could Work Miracles - appeared a few months later, but the other two ultimately went unmade. 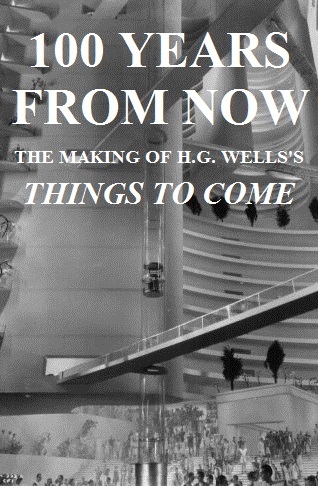 Vastly expanded from the viewing notes for the Network DVD and Blu-Ray releases of Things to Come, and drawing on multiple contemporary and archive sources, 100 Years From Now tells the full story of the troubled production and unhappy after-life of Things to Come, and the other Wells adaptations.